The ex-captain of the elephants is at the heart of a sexual scandal. Yaya Toure was caught in the act of infidelity with a girl. Tanika Gramm, a beautiful English girl of Jamaican origin, has published a photo of her and her lover, the middlefielder of Manchester City, in full love. In this photo, we can clearly see the soccer player kiss languidly the young woman. 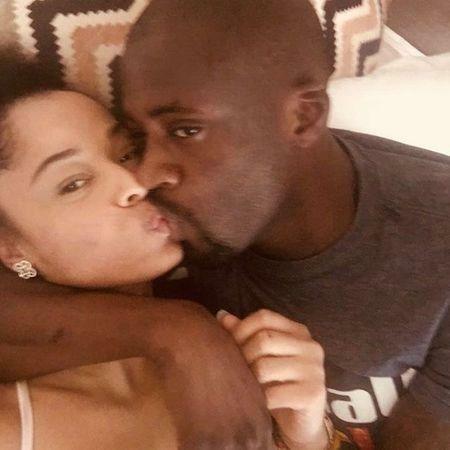 Tanika Gramm publicly posted her romantic relationship with Yaya Toure. The beautiful English girl of Jamaican origin posts on Instagram her friendly relationship with the beautiful, famous and very rich Ivorian footballer. And like a legend, she puts “queen Nika and king Yaya”. The former captain of the elephants was caught in the act of unfaithfulness with a girl in Manchester. This would be a customary act of infidelity or adultery. The 2015 African Champion, married with three children, will be held accountable.